Despite being gorgeous, the neighborhood of Georgetown can sometimes be a little frustrating to run in with the cobblestone streets and stop signs every block. 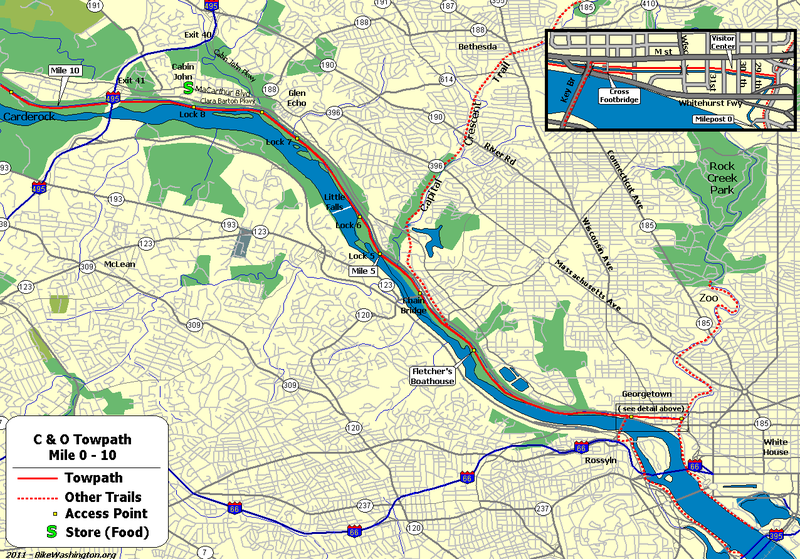 Here’s a hidden way to get in some one-on-one time with nature and get yourself out exploring DC by checking out some of these great runs in the district. Just past the intersection of T and 37th is a small dog park that, if you follow a small dirt trail through, will lead you to not only a community garden, but a grouping of trails that lead you along a small creek. Turn around when you hit New Mexico Ave. for a nice 3 mile run there and back, or run to the end of the trails for just over a 5 miles. Not sure if this is the actual official name of this running path, but enter down by M St. where it intersects with the Pennsylvania Avenue bridge. At first it may be hard to find the path, but you should end up running alongside the Rock Creek Parkway. A perk is that around 2.5 miles into your run along the Parkway you can make a pit stop at the zoo! There’s no way you can leave Georgetown without having gone for at least one run to the Lincoln, Washington, and WWII monuments. The approximately 4 mile run can be lengthened if you decide to head up to the tidal basin, which is especially beautiful to run early (very early) in the morning during Cherry Blossom season! Want to get even farther outside of the DC metro area? Head over to Virginia by running to the monuments and then crossing over Memorial Bridge to pick up the Mt. Vernon Trail on the other side of the Potomac. Arlington Cemetery is just across from you when you cross the bridge, take a left to run along the river past the airport to check out the marina that the Georgetown Sailing team practices at, or head right to run along the Virginia side of the river towards Georgetown (and even stop off at Theodore Roosevelt Island for an extra loop). This run is a great long one if you’re training for a race or have a friend to go with! Have fun getting lost amongst the wonderful paths of DC and taking in historical sites as you run your way through the city! Apr 29 Top 5 Museums to Check Out in the Spring!